Like many businesses, small or large, Facebook is constantly evolving and altering to not only better meet the needs of users but also to better meet the needs of their own profitability. Let’s face it- Facebook is a business – and businesses exist to make money. Facebook is no different. Within the past several months, Facebook has not only changed its visual design but they have also changed their algorithm as well. The algorithm refers to their proprietary technology that governs which stories, photos and news updates users ultimately see within their own newsfeed. The average user on Facebook has about 200 friends give or take and is a fan of more than 35 different pages. With all that competition, Facebook has to decide which posts should appear in a user’s newsfeed in order to give them the best experience possible. 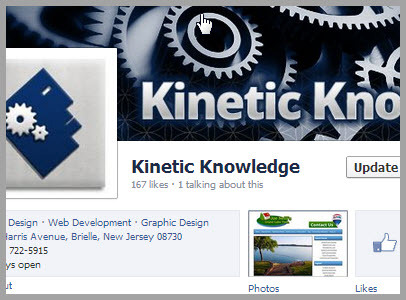 Recent changes to Facebook’s algorithm are making it harder for business pages to be seen. One way around this problem is to buy Facebook ads, to guarantee that posts are seen by an audience. Facebook, however, insists that the changes were not meant to force businesses to pay for visibility, but rather to give users more of the content they desire to see. And according to Facebook, that doesn’t always include posts from business pages. How do these changes affect your small business marketing? When your Facebook posts are ‘liked’ or ‘shared’ on Facebook, it potentially exposes your content & brand to new groups of people outside your existing circles and fan base. This is a major plus for businesses. With Facebook’s new algorithm change, it may be more difficult to get your content seen, ‘liked’ and ‘shared’. Use pictures or videos of clients or customers. Video testimonials work great. When you upload the video or photo tag your customers. This greatly increases the post’s visibility by sharing it with their friends as well, not just your Facebook fans. Ask your employees, friends and colleagues to share your Facebook status updates on their own newsfeeds. Post updates that invite comments- comments create greater visibility than ‘likes’. Make the questions worthwhile. Example for realtors: post a photo of a house for sale and take a poll. Ask your fans, “Which is more desirable for you: a fenced in back yard or a garage? Why?” People like to give their opinions. Avoid sharing links to news stories without any introduction. These posts seem to get much less visibility. Give an excerpt of the story you are posting and ask a question that relates to it. Again, invite comments instead of just posting a link. And let’s not forget- when it comes to content that you post on your website, search engines, especially Google, use the social sharing of your content as a ranking signal. It’s important to not only focus on getting your [in] Facebook posts ‘liked’ and ‘shared’, but also getting the content on your website ‘shared’ to social networks as well. 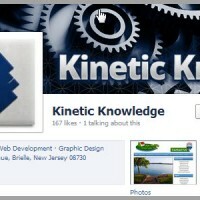 To facilitate this, make sure you have a ‘social sharing’ plug-in installed on your website. This will add the social icons for Facebook, Twitter, etc. right above or below a post or page on your website, making it easy for people to click and share anything that they have read and enjoyed. Having a very active social strategy in place as well as organized plans on how to execute that strategy daily and weekly can help keep your business visible on social media networks. It also offers potentially self- fulfilling effects on your competitive keyword SEO. If you’re looking for strategic help maintaining and updating your social media accounts, ask us about our social packages. Using Pinterest As A Marketing Channel! What Google Recommends For Mobile … And Why!